Necromancy & Making Talismans never went away in South East Asia – Zero Equals Two! From Timeless Editions of France. Release date – October 15, 2016. This is a limited issue hardback book of 194 pages, over 160 photographs and an in depth look at this subject through 70,000 words. Each book has a magical content and it comes in 2 forms:- ‘The Special Edition’ and ‘The Ghost Edition’. 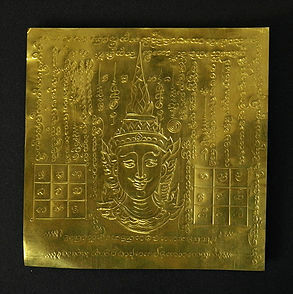 Sections on The Lersi, Khun Paen, The Kuman Thong, Luk Krok, Mae Per, Phra Ngang, Prai Krasip, Hoon Payon, Inn Khoo, The Mothers (The female deities) and unusual invocations. -An interview regarding the making of a Kuman Thong. -An interview regarding Phra Ngang. -How to ‘read’ an amulet from ‘The Load’ on the back. -The history and use of Panneng. -The spiritual journey of Ajarn Maha Metta. 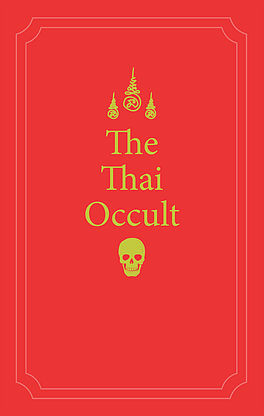 -Necro-lite – a comparison between Western Necromancy and The Thai Occult. 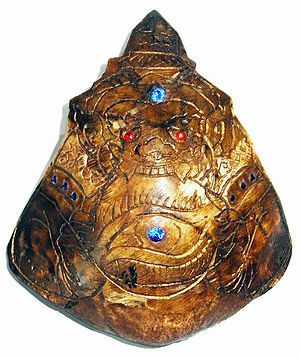 -Yantra, as relating to amulets. -A Vodou Priest from the Haitian Tradition tests Nam Man Prai. 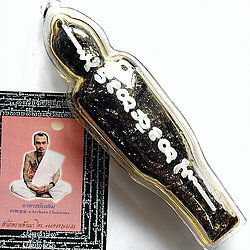 -And a biography of Luang Phor Pina, Thailand’s magical monk. A Luk Krok is a still born child that has all the energy of a life unlived and thias power is redirected to helping the bearer. The Makareephon is a tree of legend in Thailand and the fruits of the tree look like a male effigy – there is also a female version called a Nareephon but the male ones are rarer. 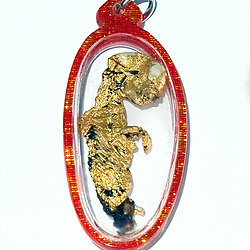 Amulets to Makareephon have great enchantment and wealth attraction.